Co-CIO Francis Gannon explains that, while global markets remain volatile, the earnings picture remains both strong and promising. The market continues to send mixed signals—helped most recently by tariff talk that spooked U.S. investors—as increased volatility has been a near-constant presence so far in 2018. 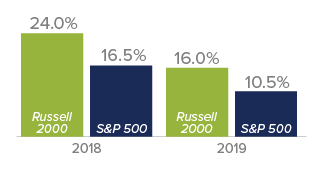 Our own practice with volatility over more than four decades focusing on small-cap stocks has been to use falling prices to initiate or add to positions—which is exactly what our portfolio managers have been doing. However, we also think increased volatility is obscuring earnings strength. From our perch as small-cap specialists, we remain highly confident that synchronized global growth will drive equity returns, which should ultimately result in leadership for certain cyclical sectors—more specifically, those that combine profitability, relatively attractive valuation, and global exposure. Our confidence has been reinforced by recent earnings results. 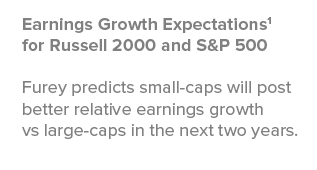 Our friends at Furey Research recently reported that 4Q17 year-over-year earnings growth for the Russell 2000 rose 12.9% for the 69% of the companies in the small-cap index that reported. In addition 62% of companies beat earnings expectations while 67% beat sales growth expectations. This is consistent with our own company analyses and meetings with management teams. The overall outlook remains cautiously optimistic, with rising rates, contracting liquidity, and inflation risk on side and accelerating growth, technological innovations, and improving profitability on the other. To be sure, we think the case for cyclicals with earnings and global exposure remains strong. As confidence mounts in the economy, we anticipate that more and more investors will recognize that earnings growth (or recovery) is a critical component—perhaps the most critical component—to building strong long-term performance. Cyclicals have also tended to be best historically in precisely the sort of synchronized global growth environment in which we now find ourselves. Our advice? Ignore the daily noise, stay focused on earnings, and invest for the long run. After all, the market may run on psychology in the short term, but in the long term it runs on earnings. 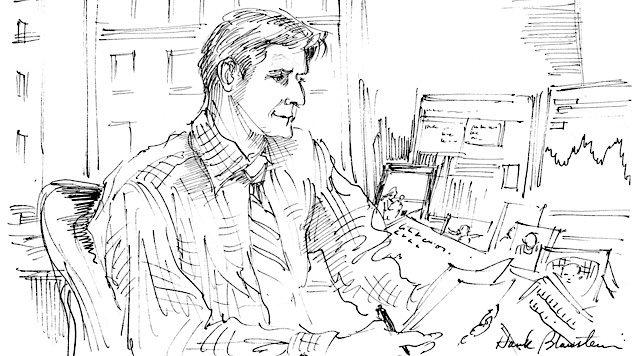 Frank Russell Company ("Russell") is the source and owner of the trademarks, service marks and copyrights related to the Russell Indexes. Russell® is a trademark of Frank Russell Company. Neither Russell nor its licensors accept any liability for any errors or omissions in the Russell Indexes and / or Russell ratings or underlying data and no party may rely on any Russell Indexes and / or Russell ratings and / or underlying data contained in this communication. No further distribution of Russell Data is permitted without Russell’s express written consent. Russell does not promote, sponsor or endorse the content of this communication. The Russell 2000 Index is an unmanaged, capitalization-weighted index of domestic small-cap stocks. It measures the performance of the 2,000 smallest publicly traded U.S. companies in the Russell 3000 Index. The S&P 500 is an index of U.S. large-cap stocks selected by Standard & Poor’s based on market size, liquidity, and industry grouping, among other factors, and includes reinvested dividends.The performance of an index does not represent exactly any particular investment, as you cannot invest directly in an index.